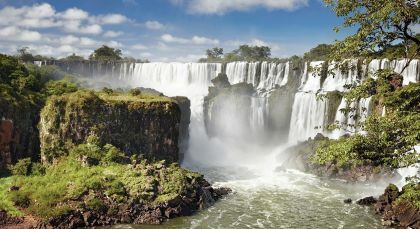 Explore iconic sights on this South America and Antarctica cruise vacation! 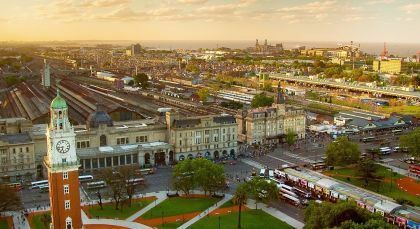 With visits to the stunning Iguazu Falls, pristine Ushuaia, and the awe-inspiring glacial land of Antarctica, experience some of the best natural wonders in this part of the world. 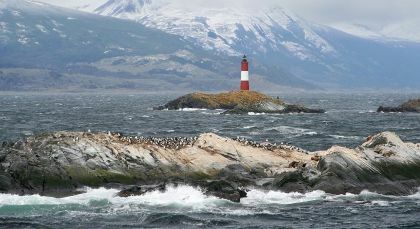 Day 1 – 2: Your Antarctica adventure starts in Ushuaia – one of the southernmost cities in the world and the gateway to Antarctica! You will have two days to relax at the beautiful Arakur Ushuaia Resort & Spa or to explore town. Experience Ushuaian museums, markets, and attractions, also ambling along the Beagle Channel promenade. On the evening of the second day, attend the optional briefing session where you can meet some of the crew and fellow travelers. 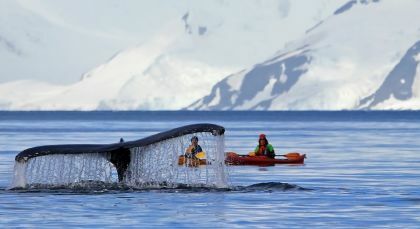 By far the most exotic vacation destination around the world you would ever visit, a spectacularly white landscape of snow, icebergs, and glaciers, iconic wildlife of whales, seals and penguins, await you in Antarctica. Day 3: Energize yourself with a hearty breakfast, served with the compliments of the resort, before getting ready to set sail. Come aboard the cruise ship by mid-afternoon, where you’ll be greeted by the ship’s officers and the Expedition Team. Attend a safety and orientation briefing before sitting down to the sumptuous dinner thrown by the Captain to welcome all guests aboard his ship. As you sail through Beagle Channel, enjoy the twilight view from the deck as the ship passes by busy colonies of Magellanic Penguins, Rock Cormorants and Sea Lions. Day 4: Sail southwards, making the most of your wildlife spotting opportunities. Spot seabirds like albatrosses, prions, and petrels, and join the Expedition Team as they look out for whales and dolphins. Learn everything there is to know about the Falklands and the Southern Ocean from the informative presentations of experts aboard the cruise. Day 5: West Falklands ho! Visit a traditional homestead at this far outpost, enjoying tea and cakes with your gracious hosts. These remote farms have been owned by local families for six or seven generations. Farm animals calmly graze the land beside albatross colonies and penguin rookeries as flocks of geese look on! Day 6: Explore the sheltered harbor at the popular port of Stanley with its abundant fresh water and peat reserves. Believe it or not, this remote port also hosts a museum, a post-office, local shops selling woollen wear, and yes, pubs too! Be ready to spot sea lions, dolphins and seabirds. Day 7-8: Feel the sudden chill in the air as you cross the Antarctic Convergence and enter the Antarctic Ocean. Stand by with your binoculars to spot the rich wildlife of South Georgia, as you make your way east. Day 9-12: South Georgia is home to millions of penguins, seals and seabirds in the breeding season. Add polar mountains, glaciers and icebergs to this rich cocktail of wildlife, and this magnificent landscape is paradise for nature lovers. Expect to find huge clans of King Penguins, apart from Gentoo Penguins, Elephant and Fur Seals, albatross, petrels, skuas, and gulls. Visit the famous whaling museum at the Grytviken whaling station, the Norwegian seaman’s church, the British Antarctic Survey station and the historic grave of the great Antarctic explorer, Sir Ernest Shackleton. Day 13-14: Utilise your time aboard by soaking up information about the South Pole, as the ship continues to sail down south. Day 15-18: Explore more of the Antarctic Peninsula and the South Shetland Islands by inflatable Zodiac boats. Based on the prevailing weather pattern and ice conditions, the expedition leader and captain will create an itinerary for this leg of the cruise. Expect to come across beautiful bays and channels, stopping by penguin rookeries, seal wallows, bird colonies and whale feeding areas. If the climate permits, you can visit Half Moon Island and the historic Deception Island. Look out for Chinstrap Penguins and Southern Elephant Seals. Weather permitting, you could also explore Neko Harbor and Paradise Harbor, or Wilhelmina Bay and Lemaire Channel. Look out for polar wildlife like Adelie, Chinstrap and Gentoo Penguins, or even Crabeater Seals, Leopard Seals and the Antarctic Fur Seal. With luck, you can catch sight of Orcas and Humpback whales too. You could visit an active scientific base as well as a historic one. Day 19-20: Head back north, crossing the Antarctic Convergence and the Drake Passage. A special slideshow will mark the end of your fantastic Antarctic Expedition, as you return to Ushuaia via the Beagle Channel. Day 21: Disembark at Ushuaia in the Morning.